Starting a business that is mostly marketed online can be a steep learning curve. I’ve been in business for almost 20 years and every day I learn something new about marketing. I used to say that marketing was a four-letter word until I decided to layer FUN over every strategy I implemented. And guess what? It drastically changed my profits. Then five years ago I was bare-foot and pregnant (literally) and my best gal pal shared with me how much money she was making by promoting amazing people in our industry. My jaw dropped to the floor. You see, I’d been promoting other people to my mailing list forever but rarely did I make any commissions. I was too casual about it. I promoted them because we were friends and I wanted to help them. But I had zero strategy or intention behind my actions. I’m going to commit to making money when I promote other people, strategize my promotions and I’ll make it a lucrative income stream! I went from zero commissions to thousands of dollars every month! And truth be told, it was very little effort. I began to understand how lucrative this could be and got even more intentional (and strategic!). My name started appearing at the top of the promotional partner leaderboards for my colleagues. Private masterminds with top experts in my industry like Loral Langemeier, Christian Mickelsen, Callan Rush, Justin Livingston and Robert G. Allen, and more. Because of my success promoting other people, it’s opened the doors to meeting tons of people who are waaaay more successful than me. I now consider them friends with benefits (not those kind!). They graciously share insider secrets for making more money and they promote me! In fact one of those experts sent out just one email for my last launch that resulted in 2000 people who opted in to my mailing list. Sales from those optins netted me over $24,000!! They do all the work, and your job is to help spread the word. They deliver great products and services, deal with customer service, give you the marketing materials and you get all the raves because your referrals are so happy that you introduced them. Your email list or social media following doesn’t need to be huge in order to make juicy commissions. You just have to get a little creative. My friend and visibility expert, Nancy Juetten, experienced similar results to me by being creative and clear about her outcomes. “Showcasing partner programs and delivering advocacy in ways that would turn their heads in service to their success created a bolder impact for us all. I just knew if I could serve others well that one day the doors would swing wide open for partners to gladly return the support in a similar way. Today my business has never been better. It’s a Triple Scoop of Influence, Impact, and INCOME. This 3-month virtual mastermind program will give you everything you need to make money supporting other people (which is often easier to do than selling your own stuff!). And make life long friends with super successful people who bend over backwards to help you in any way they can! Nancy and I know what it feels like to be the awkward JV partner with no clue how to be successful. We learned one launch at a time how to create out-of-the-box strategies to rise to the top of launch leaderboards and blow away the big dogs and have them wagging their tails to get us to support them in their upcoming launches. And now we’re going to show you how to do the same. Once you register you’ll immediately have access to us in a private Facebook group so that you can create winning connections, share tools and get mentored by us. We have 3 scheduled class sessions where we deliver content, strategies, plans, tools and coaching to ensure you make money when you support a Joint Venture Partner. We’ll be sharing blueprints, templates and other tools to set you up to succeed as we have. Neither of us are “big whales” and yet we consistently score big for our partners to welcome the rewards, recognition and opportunities that come our way. You can, too, when you follow our proven advice — even if you are early along your journey, provided you are serious about earning success. The lessons you will learn will guide you to embrace some of those powerful “ninja” strategies and tactics we continue to deploy to earn our way into just about every Joint Venture leaderboard competition to which we contribute. In terms of scheduling the virtual mastermind — you can enjoy it by phone, web, or replay. There is no quicker and easier way to learn how to successfully launch than to support other people in launching their products and services. This program will easily net you thousands of dollars in commissions when you use the strategies and coaching we share to promote other people. Our normal investment for this course is $997 but we’ve decided to give you half off as a thank you for your support this past year. This program may never be offered again, so take advantage of getting all the latest insider secrets to rock some fat commission checks for only $497 for 3 months of mentoring with us! Everything gets so much better and easier when you know what to do. Nancy and I will light your way in our own special way, and we’ll have a LOT of fun because that is why we got into business in the first place. Have fun. Make money. One without the other is just not good enough. That’s OUR motto. because it will be processed through your secure servers! Nancy Juetten is the Get Known to Get Paid Mentor and Business Bio Expert that got introduced to joint venture partnerships in 2006. Today some of the biggest names in internet marketing and business coaching – Christian Mickelsen, Christine Kloser, Bill Baren, and Callan Rush — call her by name, sing her praises, and proudly advocate for her products, programs, and services to their tribes as she returns the same or something better for them. This single strategy has added more “star power” to her brand and reputation and accelerated her impact, influence, and income than any other. Count on Nancy’s “all of the help, none of the hype” approach and get-started-like-a-winner strategies so you can deploy them to your expert and bottom line advantage. 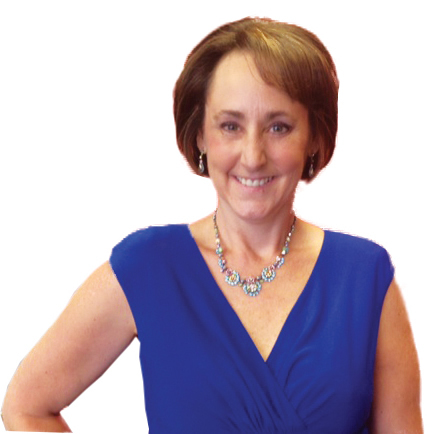 Jeanna Gabellini is a Master Business Coach who assists high achieving entrepreneurs and their teams to double (and even triple) their profits by leveraging intention, systems and fun. Combining vision, divine guidance and proven strategies, Jeanna delivers top-tier private coaching and sold-out seminars that have allowed committed entrepreneurs to blow past their self-imposed limits, ditch the drama of overwhelm and move into radical joy, inner peace and ever-increasing profits.